The Converse brand of sneakers has become a Facebook phenomenon by leveraging the social marketing media tool to acquire more than 15 million fans, which is four times more than its parent company, Nike, and eight times as many as its rival, Adidas. Mashable.com recently interviewed Converse’s chief marketing officer, Geoff Cottrill, to learn how Converse has leveraged social media to increase brand awareness without compromising the company’s image. Converse’s philosophy on social media is to bring their voice to the conversation, but to listen more than talk. 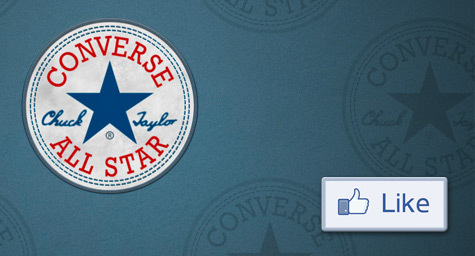 While social media is used by many companies to promote products and special offers, Converse believes it’s the emotional connection that creates fans of a brand. The company engages consumers by featuring diverse posts about products, content, contests, topics of the day, and consumer questions. They are always mindful to not control the conversation, but rather to contribute to it. Mr. Cottrill emphasizes the importance of engaging with kids on topics they care about. The brand has also drawn on its popularity with musicians through numerous music initiatives in an effort to inspire and support the artists of tomorrow. While Mr. Cottrill believes that social media can be a lot of hype for some companies, he adds, “Social media has the potential to mature into a powerful hybrid of traditional marketing techniques and community engagement, especially if that community becomes your brand advocates.” This thinking inspires Converse to be relevant, be useful, and make a connection to make the greatest use of its social media marketing tools.